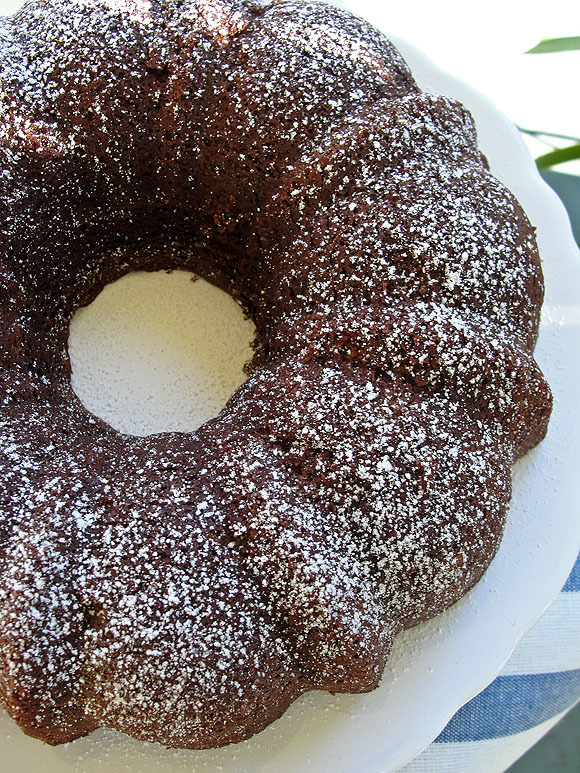 Rose writes on this recipe that this cake is “wondrously soft, light, and deeply chocolaty. This cake is all that. Perfect because its easy to make, easy to decorate, easy to served and the most important easy of all? To eat. Which was perfect for me, since I been sick with a nasty cold since Thursday, compliments of our wonderful temperamental weather here in Florida - for the past 4 days - we had 40, 30 and 80 degree weather all in one day. Perfect situation to catch a cold and make life just a little bit hard. So I was not looking forward to complicated baking. In fact I was not looking forward to being in my kitchen period. But, when you are sick you crave comfort food and for some inexplicable reason, I craved chocolate cake. So it was my luck that I could actually whipped this up in not time at all. There is nothing complicated about making it. I don’t remember if this is in the Quick and Easy section of the book - it may not be, because there is a complicated sidebar of instructions in of how to make the marzipan candle. Which I decided not to do, specially after reading the instructions 3 times and still clueless as to what the heck I needed to do. Sorry, cold medicine makes me a bit, itzy-bitzy cranky. 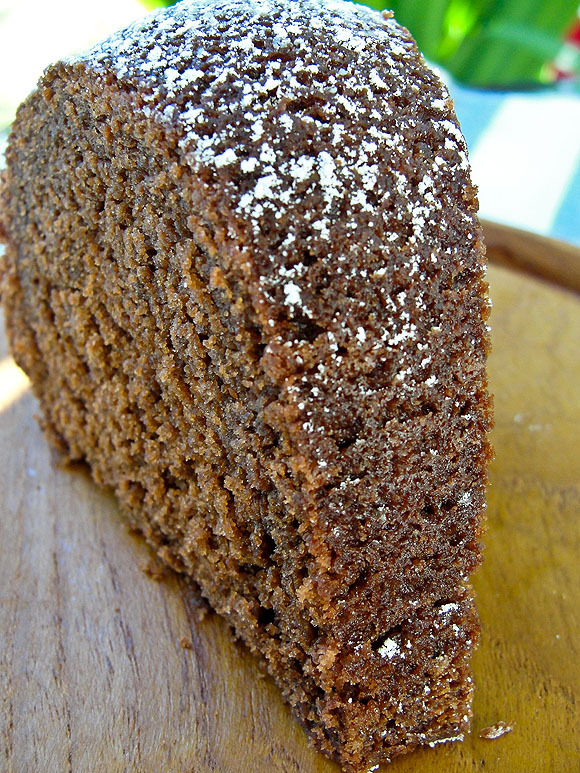 The cake is your typical cocoa, egg, cake flour, sugar and butter game players. After mixing it all goes into a fluted silicone pan and baked for about 55 to 60 minutes. I of course used my metal, old fluted pan (I can see me having major cake envy when I start to read my fellow bakers post) and it baked at the 45 minute mark. After 15 minutes of mandatory cooling period, out of the pan came this beautiful, perfect cake with it’s dark, shiny color and filled my kitchen with the most tantalizing chocolate smells. I knew this cake was a hit even before the first piece was cut and tasted. We decided to walk on the wild side and served it a-la-mode, with Vanilla ice cream. It was rich, and light and the perfect chocolate goodness to quench my chocolate cravings. Even Tom, who is not a huge chocolate cake fan liked it - a lot (he just had a second piece for breakfast). I’m thinking of a repeat performance with a buttercream frosting. No recipe for this one, since it’s part of my weekly bake-a-long. But, do go and check out the rest of the Heavenly Cake Bakers take on this little gem. Or you can support Rose (and me) and buy the book – you will not be sorry.